David joined Fernwood Learning after extensive experience in fitness, education and training. He has worked with individuals and sporting teams, from those that are new to exercise to elite sporting players. It is extremely important to David that students have a positive and hopefully enjoyable learning experience with Fernwood Learning, setting them up for a successful career in the fitness industry. He has worked for a number of registered training organisations and trained thousands of students over more than 10 years in the industry. He holds a Bachelor of Exercise Science and Human Movement, Diploma of Fitness, Diploma of Training and Assessment, Diploma of Training and Assessment Design, as well as a Bachelor of Psychology. 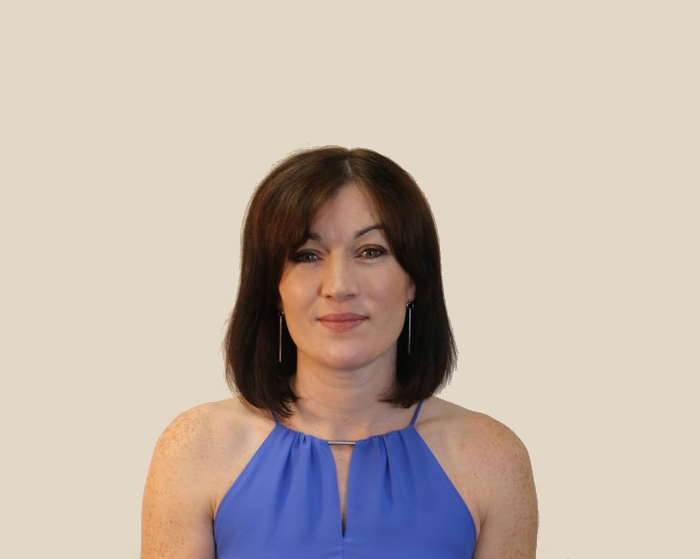 Annette McMullan has extensive experience in the field of Sports Science, Exercise, Health and Fitness, specialising in education and training. She has over fifteen years teaching and assessment experience ranging from Certificate level to Post Graduate in a range of curriculum areas. Annette has also had the opportunity to work in the field of compliance, overseeing the delivery and assessment of vocational sport and fitness courses across a wide range of RTOs. Annette is an experienced personal trainer and group exercise trainer, with clients that range from beginner to national level athletes. Annette holds the following qualifications: BSc (Hons) Degree in Sport Science, National Diploma in Physiology and Health Science, PGCE in Further Education, Certificate IV in Training and Assessment and a Certificate IV in Fitness. Sarah joined Fernwood Learning with a considerable background in fitness, business, education and training. She has a special interest in boot camp training, yoga and women’s fitness including pre and post-natal training. Sarah has worked extensively in education and fitness and has trained many groups and individuals throughout her career. Sarah enjoys connecting with students and strives to ensure they have a positive outcome in both their learning and future professional path. Sarah holds a Diploma of Fitness, Certificate IV in Training and Assessment and Certificate III in Community Services. She has also obtained certification in Core Yoga Practice and Pre and post-natal Exercise. Elise is a well-trained and dedicated nutritionist who holds experience working in a range of areas within the health and fitness industry. She fuels her passion for promoting nutrition, health and fitness by coaching a variety of clients including individuals, community groups and elite sporting clubs. It's important to Elise that students have a smooth and enjoyable experience with Fernwood Learning and that they leave motivated and empowered to be able to support and educate others along their weight management journey. She holds a Bachelor of Human Nutrition with Honours, Certificate III & IV in Fitness and Certificate IV in Training and Assessment. Elise has gained extensive experience working in fitness industry development and at a registered training organisation. Eleni has been in the health and fitness industry for over 10 years and has experience as a Group Exercise Instructor, Personal Trainer as well as gym management in a variety of settings such as boutique fitness studios, large gymnasiums and outdoor bootcamps. She has a Bachelor of Health Sciences, Certificate IV in Fitness and Neurolinguistic Programming (NLP) qualified. She is passionate about helping individuals achieve their goals and receive the best education this industry has to offer with Fernwood Learning. Donna has 10+ years working in the VET industry, specialising in administration and compliance. She has extensively taken part in in-house audits and assisted with audits conducted by ASQA. Her studies have consisted of Business administration, leadership and management, quality auditing and fitness, as well as participating in many VET related seminars. Donna’s best interest is to assist and motivate students during their studies and seeing them through to completion.